The Federal Communications Commission is weighing whether to ban TV stations from saying the name of Washington's football team. American Indians argue that the term is an ethnic slur and is deeply offensive. Earlier this year, the Patent and Trademark Office canceled the team's trademark, concluding that it is "disparaging to Native Americans." 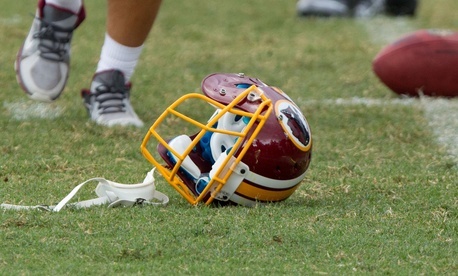 Redskins owner Dan Snyder has rejected calls to change the team name for years. A Redskins website claims the name "epitomizes all the noble qualities we admire about Native Americans."